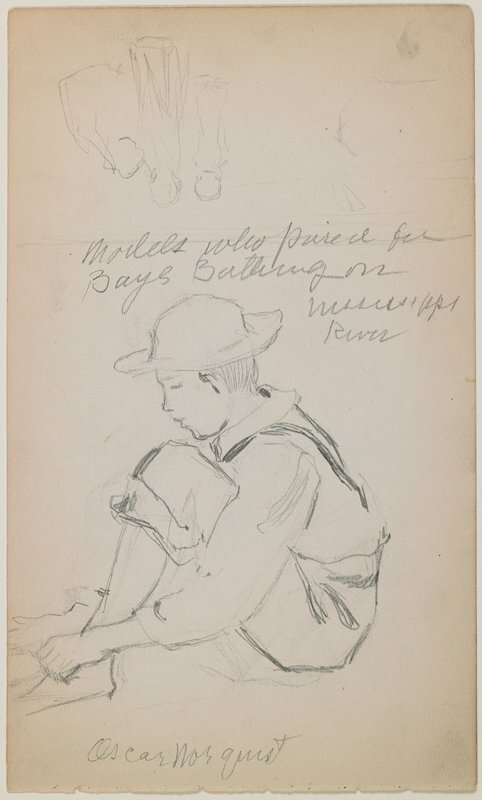 These sheets from Grinager’s sketchbook feature figure studies for Boys Bathing. In all three images, the model is kitted out in the same cap and overalls, indicating that Grinager probably made these sketches on the spot, down by the Mississippi River. Grinager identified the boy on two of the sketches as “Oscar Norquist” –- while the name “Eddie Hogansen” –- likely another model –- is also noted.